In this Champion Power Equipment 46539 portable generator review, we will take a deep look at this popular model. Starting by focusing on its key features and specs then moving to the drawbacks and our final thoughts for this machine. Champion Power Equipment started with a three-person team in 2003. Moving to the powerhouse of today. They earned a reputation for designing and producing some of the market’s finest power sources; for home, work, as well as recreation use. From their original headquarters in Santa Fe Springs, California; they expanded their product line to over 2.5 million generators sold in North America alone. With deep expertise in engine design and engine technology; as a result, providing the market with dependable and durable power products. Designed and engineered in the US for North America and the world. They also have a great customer service reputation, providing exceptional service to customers. 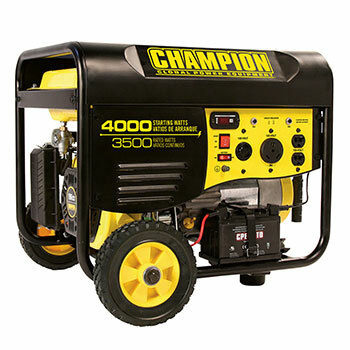 Champion Power Equipment 46539 has 3500W continuous power and 4000W starting power. A reliable 4-stroke OHV single-cylinder. A 6.5 horsepower engine; runs at 3600 RPM. Starting this generator is easy; with the wireless remote control you can start and stop this generator up to 80 ft. away. Also equipped with an electric start button. In addition to the regular recoil. Runs up to 12 hours on a full tank of gas at half load. Has a gas tank of 3.8 gallons, equipped with a fuel gauge. In addition, it has a user-friendly IntelliGauge. 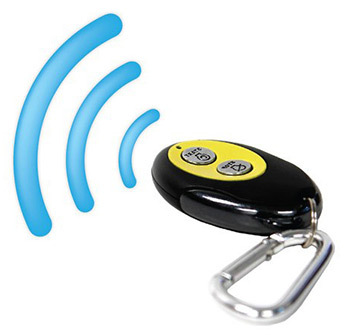 Has three tracking modes, showing hours, volts, and hertz in use. It’s a powerful RV ready generator; with a 120 volts. 30 amps RV outlet. With enough power to start and run a 15,000 BTU air conditioner. Other than the RV outlet it also has one 120V 30A twist-lock outlet and two 120V 20A household outlets. All outlets have push-to-reset circuit breakers that protect the generator from electric overload. Secured by Volt Guard. Which protects your connected appliances from sudden voltage spikes. In addition to the Cold Start feature which allows the generator to start easily in cold weather. Equipped with multiple useful features; such as the automatic voltage regulator and the automatic low oil shutdown sensor. 23 feet away and its noise level is at 68 decibels. Weighs 139 pounds; with a folding handle and 8 in. never-flat tires for easy transportation. Comes in a durable steel frame and cast iron sleeve on the engine. USDA approved spark arrestor and CARB compliant. This unit comes with everything you need to get it running including the engine oil and the oil funnel. Back by a Champion 3 years warranty and lifetime support. 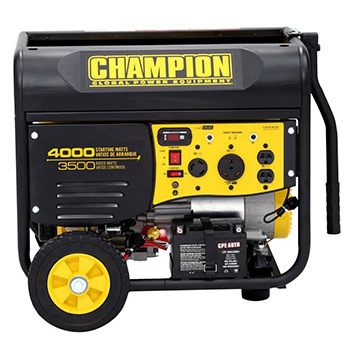 The Champion Power Equipment 46539 gas powered generator; lacks an appropriate gas drain. In fact, some users find it a little difficult to make oil changes. Due to the position of the dipstick. At 68 decibels, it’s quite noisy. As long as you can place it far away using long cables then you should have no problem. Almost 140 pounds, making it hard for carrying and storage. Lacks a 240 volt outlet. To sum it up, the Champion Power Equipment 46539 is a powerful generator and can be a great addition to your RV camping trip. As well as a cost-effective and convenient solution for emergency situations such as power outages. Ultimately, at 4000W starting power and 3500W running power; that’s enough power to run multiple applications simultaneously. It will power your essential appliances when the main power goes out or when you go off grid. Capable of keeping your lights, sump pump, fridge, and television running. You can check the user manual here. Weighing 140 pounds could hardly be called portable. However, the never-flat wheels make moving it very easy. And yes 68dB of noise is a bit loud but considering the amount of power this generator makes; it’s relatively acceptable. In addition to the wireless remote; you can set your generator a few feets away. And conveniently run your generator from far away, up to 80 feet. Overall, Champion Power Equipment 46539 portable generator review shows us a durable powerful machine with no major downsides. Wherever the road takes you this machine allows you to power your equipment for RV camping adventure. Just plug into the TT-30R RV outlet and you are ready to go. It’s not only a great addition to your RV but it can also provide reliable power for your home or construction site. And with its chock-full features, making easy to use and very user-friendly. 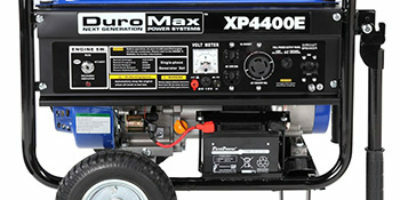 It’s one of the most popular portable generators around. Champion Power Equipment 46539 is a great addition to your RV camping trip as well as a cost effective and convenient solution for your home in emergency situations.